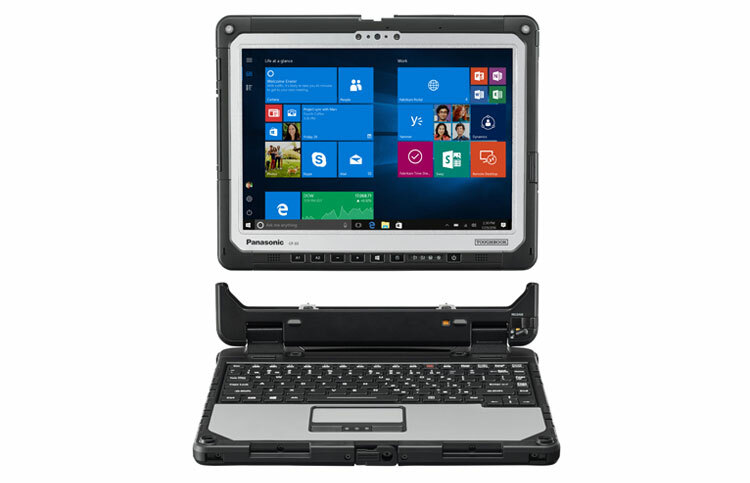 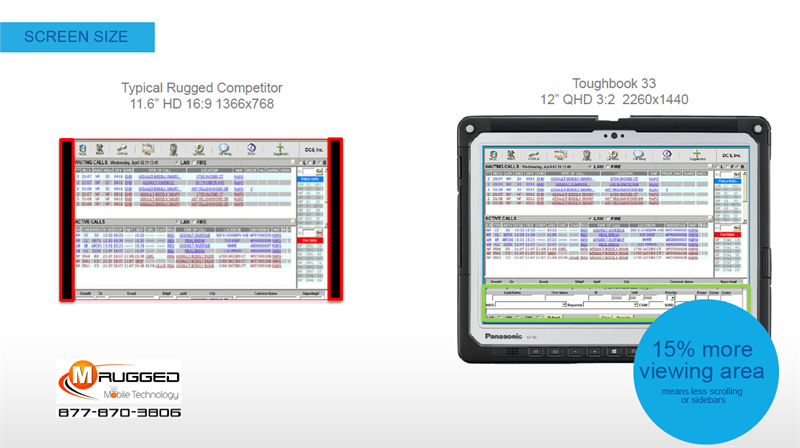 The Panasonic Toughbook® 33 offers unparalleled flexibility in even the most demanding and extreme environments and is the world’s first fully rugged 2-in-1 PC with a 3:2 screen with 0-1200nit brightness outdoor veiwability. 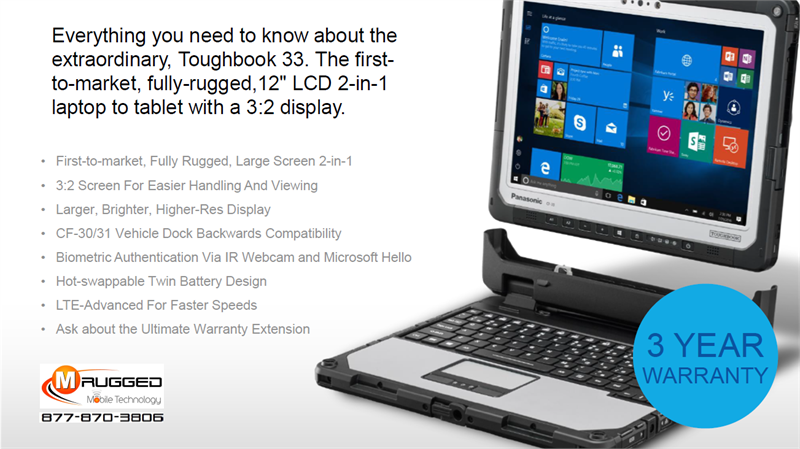 Inspired by the increasing demands of mobile professionals, the Toughbook 33 delivers rugged mobility in a highly customizable package that also includes a generation of backward compatibility. 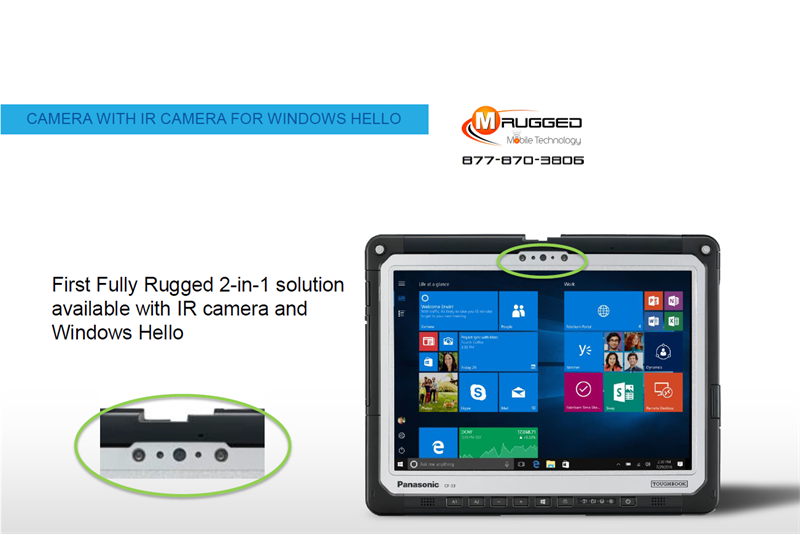 With its Infrared Webcam providing Microsoft Hello support you can secure your CF 33 with facial recognition!